Kelowna, March 12, 2015 - Today's announcement regarding an increase to minimum wage comes after extensive government consultation with businesses. 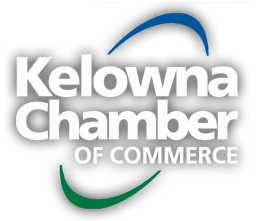 The BC and Kelowna Chamber takes changes to the minimum wage seriously. Increases to the minimum wage have a very real, and direct effect on business, especially small business. We commend the provincial government on implementing an increase to minimum wage in B.C. and a plan for future changes, giving businesses a window to plan and prepare. "This is a responsible move, with the degree of certainty that businesses appreciate" said Curtis Darmohray, president of the Kelowna Chamber. "This increase keeps B.C. competitive and aligns us with the minimum wages seen in other provinces." We heard the message clearly from our membership that big hikes to minimum wage will negatively impact employment in small business and food franchises. The BC Chamber has always advocated for certainty. Most businesses are likely to be open to an idea that sees minimum wage tied to inflation through a consistent, and transparent formula that could give business the certainty they need around these issues, and this plan addresses that.